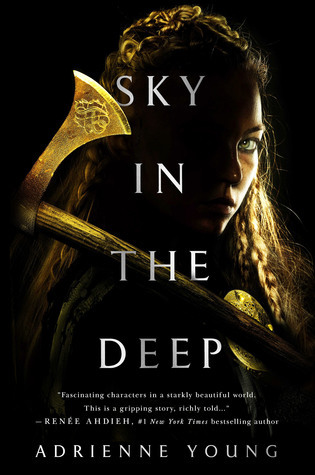 This week, I am super excited for Sky in the Deep by Adrienne Young! I actually have an ARC of this from Teen Advisory Board I'm on, and by the time this publishes, I might have already read it. There are so many awesome looking YA high fantasies coming out this year, and I am down for it! All the reviews I've read talk about how amazing it is, and I cannot wait to devour it! Plus, look at that cover! See how gorgeous it is! A pretty cover isn't everything, but it sure drags me in!